The EGO CE4 Vape Pen is a vaping device that may appeal to people who are looking for the cheapest vaporizer available and have had a fruitless search at their local Poundshop. It is easy to buy a CE4 online and in many cases the price is less than that of a box 10 Lambert & Butler cigarettes. It is unclear where the unit is produced, but several Asian companies are selling CE4 vape pens, wholesale, via the Alibaba website, so it is likely the product is manufactured somewhere in China. The CE4 may offer people the opportunity to start vaping at bargain basement prices, but many customers report experiencing problems. Some say the vaporizer would not work at all, others say it began to leak, and battery charging problems appear to be quite common. As you can see, this is hardly ground-breaking technology in action, but the EGO CE4 Vape Pen is unlikely to beaten on price, so the low start-up cost is probably it main selling point. When we began writing this EGO CE4 Vape Pen Review, one of the first things we did was to try and find out the identity of the manufacturer. 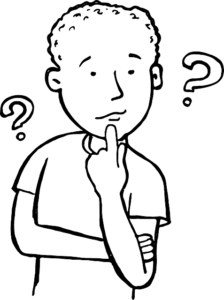 We drew a blank, but discovered several vaping supply companies, based in China, that were marketing it under their own brand name. This suggests the CE4 may be a white label product companies can purchase and sell as their own. We do not recommend buying vaporizers of unknown origin because there is no way of knowing if the manufacturers comply with good manufacturing standards. We noticed some dealers were selling the EGO CE4 Vape Pen with a 900mAh, while others were offering a 650mAh or 1100mAh battery. When we checked the Alibaba wholesale website we discovered all three capacities are available, but it is unclear if dealers who purchase a bulk supply of EGO CE4 Vape Pens are offered the chance to choose the battery size or just have to settle for what is available. Either way, anyone who is seriously considering buying a CE4 may want to take a close look at the battery size offered to make sure if it will pack enough charge to last them the day. A few customers appear to be happy with their purchase, but a greater number of people say their new vape pen did not work or caused them problems. It is possible to buy a EGO CE4 Vape Pen via Amazon, eBay, and numerous online stores; and it is often possible to pick up a vape pen starter kit for as little as £4. There’s no money back guarantee, but when you are paying little more than Poundshop prices that is only to be expected. One plus is, if you shop around, the device appears to be available in all the colours of the rainbow and then some. We found one supplier that offered 17 choices that ranged from black to hot pink and sea green. Is the EGO CE4 Vape Pen Worth the Money? There’s an old saying, “you get what you pay for”. In this case it appears to be true. Anyone who pays so little money for a vape pen would be foolish if they thought they were purchasing a top-of-the-range item. Nobody is going to quibble about losing £4 if the product does not meet up to their expectations, so the EGO CE4 Vape Pen is probably worth its price. Having said that, anyone who buys one and then finds it fails to hold its charge, starts to leak, or develops some other kind of problem, will probably think it was a waste of money, but … you get what you pay for. 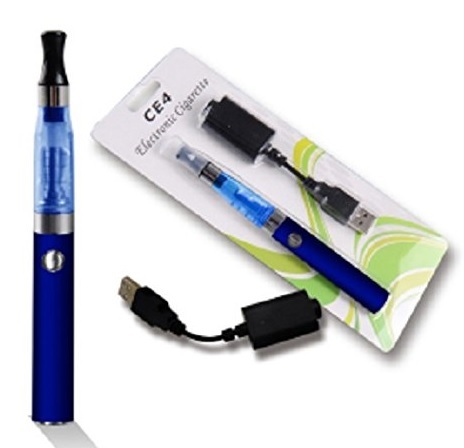 Everyone likes a bargain but, despite its low price, we do not feel the EGO CE4 Vape Pen offers good value for money. It costs less than a bottle of e-liquid, but many customers say their vaporizer did not work, or only worked for a short amount of time before the battery packed-up or some other problem became an issue. The fact that its origins are unknown is also an issue. If the vaporizer is produced in China it is possible it may no be as good as vaporizers manufactured in Europe or the US. Bearing in mind the fact that this product is more likely to appeal to people who wish to stop smoking than to anyone who has already made the switch, it does not make good sense to invest money in cheap and possibly sub-standard product when it is possible to buy a reliable, high-quality vaporizer for the price of a few pack of cigarettes. The Discoball Vapourizer eGo CE4 Starter Kit is a much better option. It contains an EGO vaporizer, along with everything needed to start vaping and has a nifty, little storage case as well. Even a light smoker who ditches their fags for a Discoball Vapourizer eGo CE4 will find their investment has paid for itself in less than a week.